The Villager from Animal Crossing has a bit of a nifty move in the upcoming Super Smash Bros.. Well, more accurately, he has two nifty moves. First, in a three step attack, he can plant, water and chop down a tree for a large hit on enemies. Second, the Villager can pocket some incoming attacks and use them on foes as a counter. YouTube channel Rush Hour Smash combined those two features in order to make a minigame. A meta-minigame. They've called it "Smash Potato," or, as they write, "Hot Potato, the Smash Bros way." This looks absolutely ridiculous, and I can't wait to get the game going with friends in order to force unending rounds of Smash Potato on them. We'll set stock to 10, remove the timer and start at like 300% damage. Should be hilarious. Super Smash Bros. hits the 3DS on Oct. 3. The Wii U version will drop later this year, and a recent rumor has it slated for November 21st. 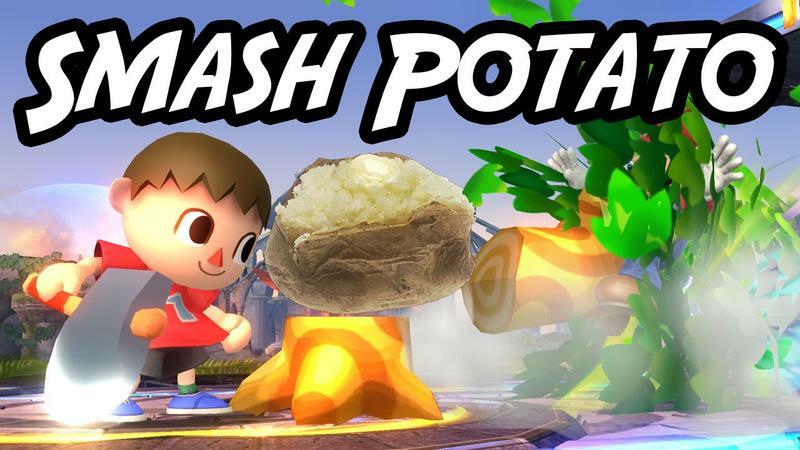 What do you think of Smash Potato?